Rav Reich learned at Sha'alvim from 1990-1992. He then returned to the U.S. to continue his studies at Yeshiva University where he learned under Rav Michael Rosensweig while studying for his B.A. in Jewish studies and M.A. from the Bernard Revel Graduate School. In 1995 the Reichs made Aliyah, coming back to Sha'alvim where Rav Eli continued learning in the kollel and finished his Semichah studies while giving a chabura to talmidim in the Overseas Program. 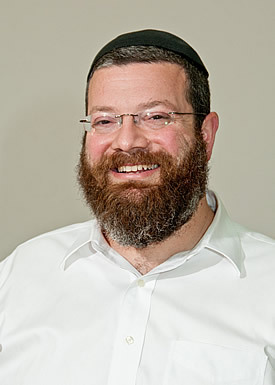 Standing out as an emerging Talmid Chacham, Rav Reich joined the staff in 2002. His analytical and engaging shiurim are very popular among the students.